Want to improve the way you move in a fun environment with interesting people? My Bristol Folk House Alexander Technique courses might be just what you’re looking for. Have you been struggling to solve any of these common problems? Alexander Technique might be just what you’re looking for. I am the resident tutor for Alexander Technique at Bristol Folk House, and have run courses there for about 8 years. I help students reach their potential with activities as diverse as singing, yoga, swimming, walking, using a computer, playing an accordion, and chopping carrots. Any activity that involves mental and physical effort can be improved and made easier using Alexander Technique principles. Will the Bristol Folk House Alexander Technique courses and workshops suit me? Other people ask the questions that you are too shy to! You can enjoy being part of a community that wants to improve. 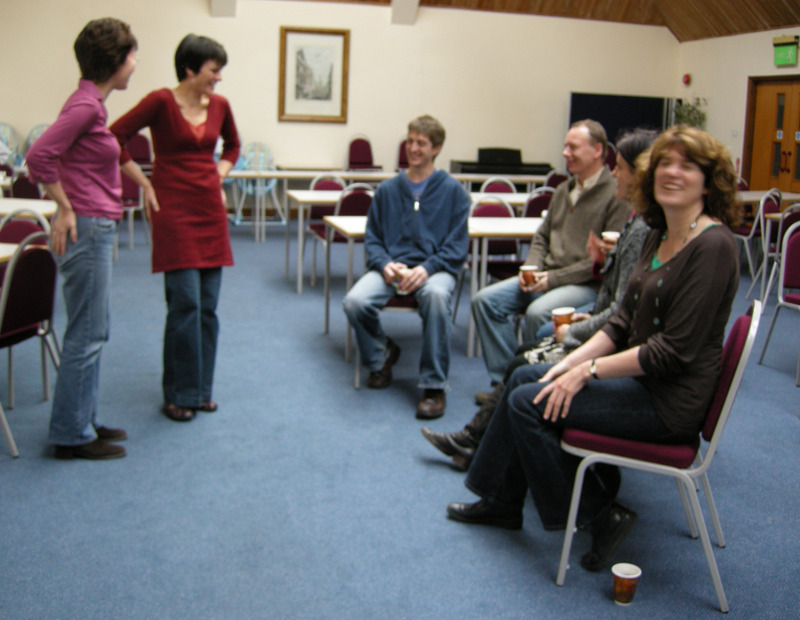 If you love people and enjoy group interaction, then the Bristol Folk House Alexander Technique courses could be for you. The downside is that, as the group size is larger, you will receive less individual attention. If you have very specific queries or concerns, or you prefer a bit more privacy, can I suggest that you try my drop-in class or 1:1 sessions? These may suit your needs better. why we need to stop ‘trying harder’, and actually learn how to do a bit less! some basic functional anatomy. You’ll leave knowing more about the way your body works! And you’ll get to ask as many questions as you like – the structure of the day is tailored to the specific needs of the group. As with my evening courses at Bristol Folk House, the group sizes are generally much larger than my private courses and lessons (sometimes up to 15 people). This can be great, as you benefit from all the positives of group classes. If, however, you prefer working in smaller groups, then you may well prefer my Thursday evening Alexander Technique drop-in class. When are you teaching there next? Phone Bristol Folk House on 0117 926 2987 to book, and check their website for further details.